There is a website dedicated to listing dead pop stars. Well, there is a website dedicated to just about anything you care to name, and I didn’t actually go looking for this one – I was researching something and just found it. But having found it, I hung around for a while, because music trivia interests me. Websites such as this –and there is more than one – tell you who it was, what he or she did as a musician and how and when they died. For a journalist, it can be a springboard into writing an article like this. It must also be extremely handy for those who like to do the old ‘10 people who died in plane crashes’ routine, with no comment or elaboration to keep their readers awake. 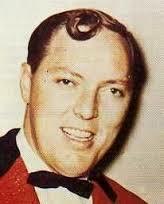 Bill Haley is often cited as the first rock’n’roll star to die of natural causes, although his end is suitably shrouded in mystery. One story is that he had a brain tumour and died from that, but his wife and a close friend maintain that was a smokescreen. According to them, Haley, an alcoholic, to all intents and purposes drank himself to death, exiled to the pool house at his mansion in his home town of Harlingen, Texas, having been kicked out of the main building by his wife. The ‘immediate’ cause of death is given as a heart attack. Lurking in this website, though, was one fact that shone out like a beacon. They were not stars but they were musicians. Michael Dahlquist, John Glick and Douglas Meis died in a car crash in Skokie, Illinois, when their vehicle was hit by one driven by a woman who was trying to kill herself. She broke her ankle. Another site along the same lines helpfully puts the deaths into categories: 42 heart attacks, 40 drug overdoses, 36 suicides, 35 motoring accidents and so on, right down to three strokes and three electrocutions among the several hundred it included. Perhaps the rock’n’roll lifestyle produces more than its fair share of drug and alcohol-related final exits, just as the fact that there is a lot of travel involved accounts for the plane crashes and some of the car accidents. Britain’s Marc Bolan, though, copped it ‘off duty’ when the Mini driven by his girlfriend Gloria Jones (herself a by-then former pop singer) hit a tree up a winding lane in south west London. 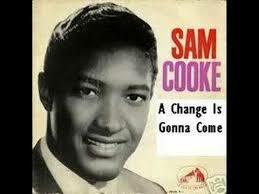 One of the most rock’n’roll deaths must be that of Sam Cooke, owner of such a sweet soul voice. In another convoluted tale, at the age of 33, , Cooke found himself on the wrong end of a bullet fired by the owner of a motel who said he had broken into her office, wearing a jacket and shoes but no trousers or underpants. The story goes that he was looking for the girl with whom he had checked into the motel. While no death is funny, in a business that is so concerned with image, at least Cooke’s untimely and violent demise was the stuff movies are made of. The first site, though, starts way back in the 18th century, when being a pop star apparently meant composing hymns, and spins through an ever-increasing list of fatalities that include the 1912 departure of Wallace Hartley. Those who are good with dates will have immediately recognized that as the year the Titanic went down, and sure enough, old Wallace was the band leader on it. Cause of death: ‘drowned or froze’. Not nice, either way, even though legend has it that they were playing “Nearer my God to Thee” at the time. In December 1929 the noted blues man Blind Lemon Jefferson, composer of See That My Grave Is Kept Clean, died of exposure in the street in Chicago after a heart attack. Paramount Records paid for his body to be taken back to Wortham, Texas for burial, but no gravestone was erected and when someone finally got around to marking it in 1967 they weren’t sure exactly which plot it was, so the marker was placed in the general area. However, the cemetery was eventually named after him, so at least the poor man was treated with some respect when it was far too late. Buddy Holly famously died in a plane crash in 1959 in the middle of a tour, along with fellow rockers the Big Bopper and Richie Valens. But this being showbusiness, the show had to go on, and one Ronnie Smith replaced Holly for the remainder of the tour. That’s quite a lot to ask, and may have had something to do with Smith’s later drug problems and his suicide in 1962. If you’ve been nobody and then a substitute rock legend it must be hard to go back to being nobody again. Perhaps the most bizarre revelation in all these websites, though, concerns the tragic end not of a musician but the dancer Isadora Duncan, who went to meet her maker when the scarf she was wearing while out for a drive in an open-top sports car got caught in one of the rear wheels. Original, eh?